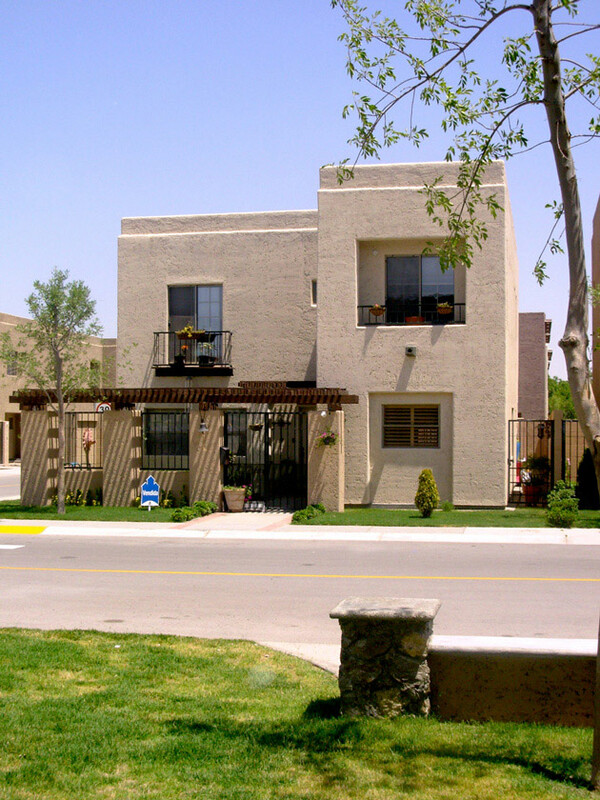 Located in the periphery of Juarez, Tres Torres is surrounded by a conventional landscape of sprawl: housing tracts, retail strips, highways and fragmented, underused parcels of agricultural land. 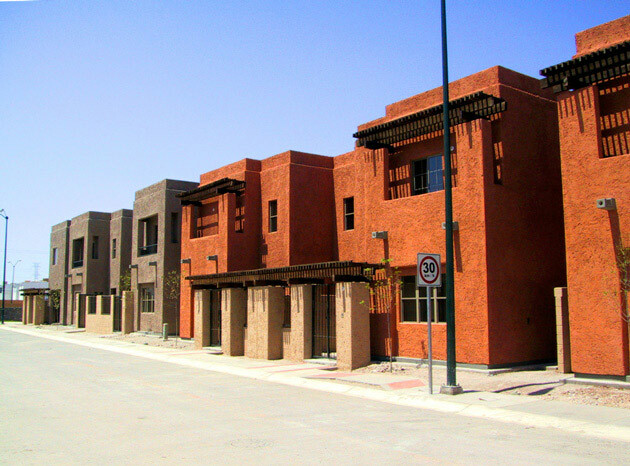 The overarching market and cultural objective of the project was to generate a superior New Urbanist neighborhood with a form familiar yet new that would appeal to the local community. 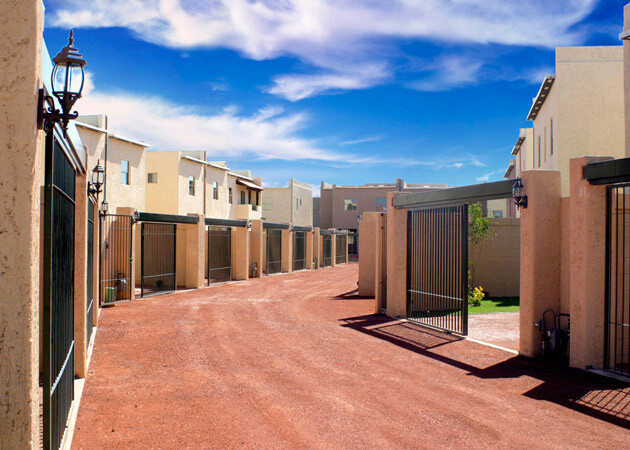 The design for this 35-acre, 387-lot neighborhood is based on traditional urbanist ideas, many of which have their roots in Mexican urbanism reaching back to the Laws of the Indies. This pedestrian-friendly, mixed-use, income-inclusive and house-diverse neighborhood knits together an urban fabric of interconnected streets and blocks. 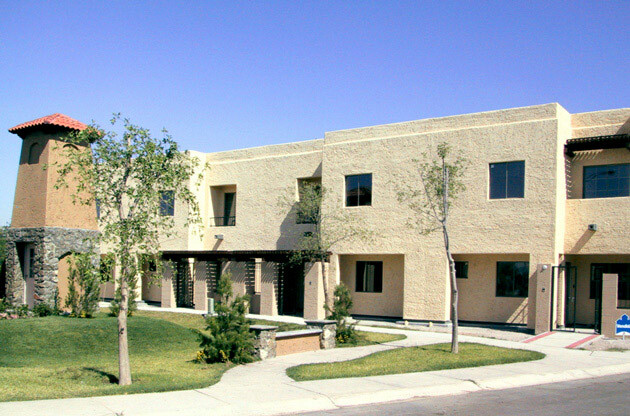 Climate-specific architectural form, enhanced with drought-resistant plants and private patios gives the impression of a verdant garden city in the desert. Building fronts provide stable and durable space; all additions and changes to buildings can be accommodated in the back of each lot. 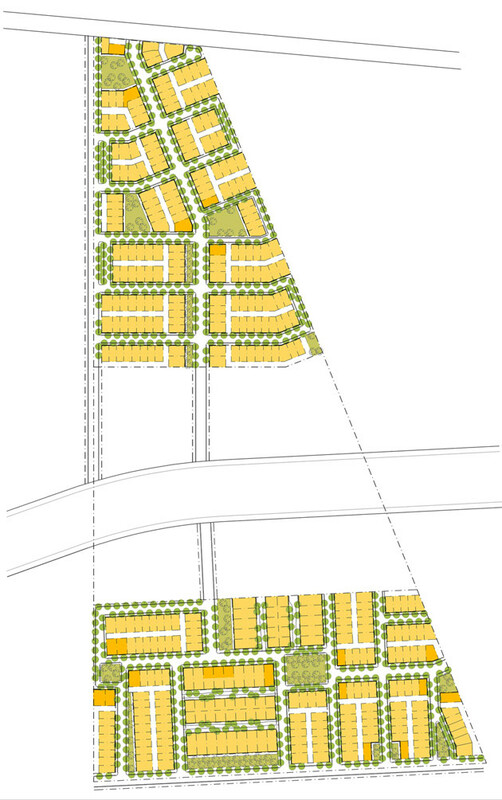 Each of four neighborhood clusters is centered on a small park. Cars are accommodated in back lanes which are also used for water percolation.